Nice concept revealed in your blog,thanks for sharing it.Apart from this blog here is the place where you will windows 10 dvd player free download you watching for video full hd in your free time i sure like it. by playing slotomania unlimited coins play the game and full enjoyment thanks for it. Hello Guys.I found a website for you here you can get free xbox live membership codes which is the best way xbox generator is for you xbox players. The Health system is created in a proficient way of expanding the network in the multispecialty services. With the ever-growing population, the hospital has announced many ambitious plans that have ultimately lead to the excellence. Counter-Strike: Global Offensive is one of the most popular multiplayer games at the moment. For any CS GO fan out there, a good, well-reputed account is an absolute necessity. ITC Blog: What’s going into the Solstice Fire this year? ITC working to ensure the creative sector is a safe and positive space. Guest blog: What do theatres mean to you? ITC AGM & Conference Takeaways: Uncertainty Sorted! Up Yours 2016! 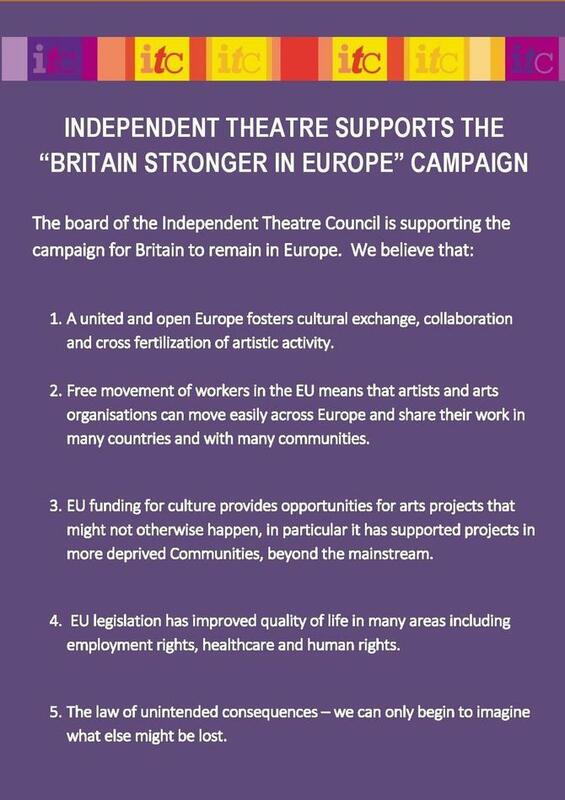 Long Live Independent Theatre! Guest Blog Post: A part or Apart? ‘Influencing’ - How can the Arts make a difference in the world? What can we learn from JezWeCan? Education – is there a crisis in schools touring? What does 8% mean to you?